Windows 10 comes with native support for files compression and uncompression using which you can easily compress(zip) and uncompress (unzip) files or folders on your Windows computer. Open File Explorer. Select and right click file(s) or folder(s) that you want to zip. 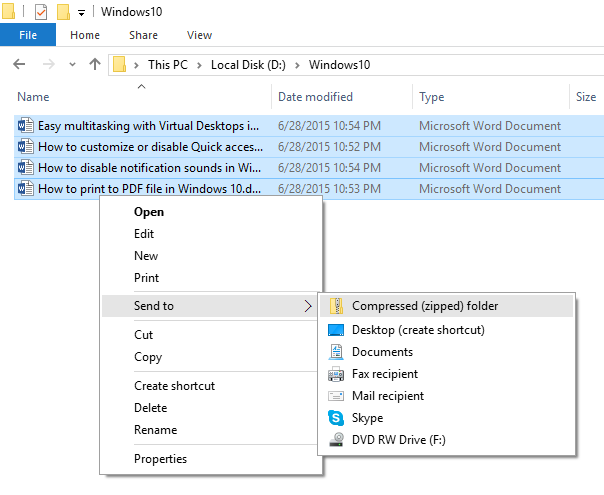 In context menu, select "Send to -> Compressed (zipped folder)". This will compress your selected file(s) or folder(s) to new .zip file in current folder. Right click on .zip file that you want to unzip (uncompress), and click on "Extract All" in context menu. 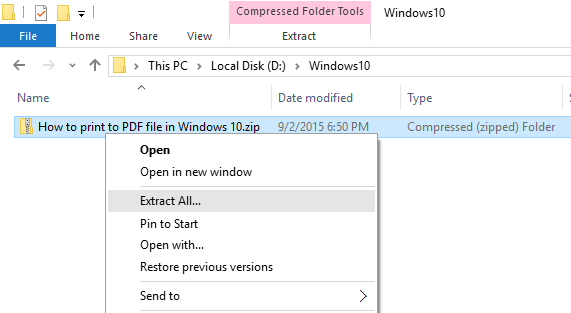 In "Extract Compressed (Zipped) Folders" dialog, enter or browse folder path where you want files to be extracted. 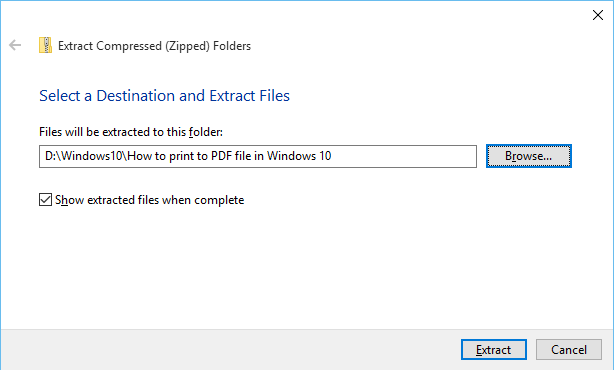 Check "Show extracted files when complete" checkbox to open extracted folder after zip extraction is complete. Click on "Extract" button to start the extraction.